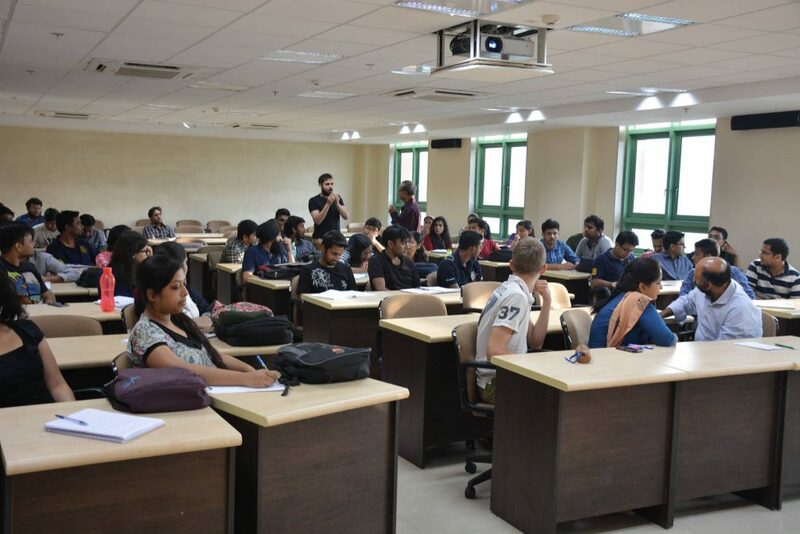 It was an organizational behavior class, conducted by Mandi sir, his real name is T. Prasad and due to his fond dedication for promoting “Mahamandi” an entrepreneurship event held at NITIE, everyone calls him “Mandi sir”. He always brings some new articles(small good) in class and distribute it among students, then tells them to sell it, using the scientific concepts that we have learnt in our college or school level. He has a philosophy that “BECH BECH KE SEEKHO, SEEKH SEEKH KE SAMJHO”, but traditionally we do exact opposite to it, we first understand the concepts than apply them to real world. He tells us that the day you enter into the management school, your only work is to apply the concepts you have learnt and sells your ideas in most effective manner. One day he selects two students from the class and ask them to communicate 3X2 using Lego boxes. First made a cuboid of 2X3 and the other made three cuboids each of 2X1. The class need to decide whose explanation is better. Most the students said that the explanation of second student is most understandable, because even a layman could understand it. Through this small activity he tells us that “selling your ideas is more dependent on the way the other person perceives it”. He tells us, before selling anything, you need to have knowledge of other persons perception, his need, his education & you should be able to guess his reaction even before him. Then on the same day he distributes Posters to us and promotes “Mahamandi” through us, we all gathers together and took photos, and everyone have to post it on his/hers Facebook account as an assignment. His class is always a “give and take” kind of , and it’s a funny deal for all of us. Novelis has its presence in ten different countries across North America, South America, Europe and Asia, this can give me the opportunity to explore the world while working. Their gender diversity is quite impressive. I consider myself, a responsible eco-friendly citizen and really likes the fact that Novelis is world’s largest recycler of beverage cans, there Re-closable beverage cans idea is quite innovative. Their engineers and metallurgists are doing a commendable job by creating new light weight alloys, which can increase the fuel efficiency of automobiles,& the concept of end-life recycling really makes them a “green company”. Things That Make IIM Sirmaur Special!